Osteoporosis, a condition where an individual’s bones become increasingly brittle and fragile, is one of the most commonly diagnosed bone diseases in the U.S. However, screening and diagnosis for individuals with disabilities are commonly overlooked. While screening for the general population usually starts later in life around age 65, individuals with disabilities should start being screened much earlier since the risk often comes at an earlier age. Osteoporosis is a secondary condition that can be alleviated (and in some cases prevented) if proper treatment and screening measures are in place. Through the HealthMeet project we have found that the rate of falls for individuals with disabilities was 3 times higher than the rate for the general population. Falling can be particularly dangerous for an individual with osteoporosis, which can easily cause fractures and breaks that can lead to increased mobility issues and extensive hospital fees. Making sure homes and organizations are set up to prevent falls will help to decrease the initial risk of falling. Screening for osteoporosis can be difficult due to the tests that are required for diagnosis. Individuals with disabilities may not be able to sit in the required position to obtain x-rays or may have a hard time lying still for the amount of time required for the tests. Primary care physicians need to be educated to screening alternatives such as ultrasound, and the importance of prioritizing prevention methods for individuals with disabilities. 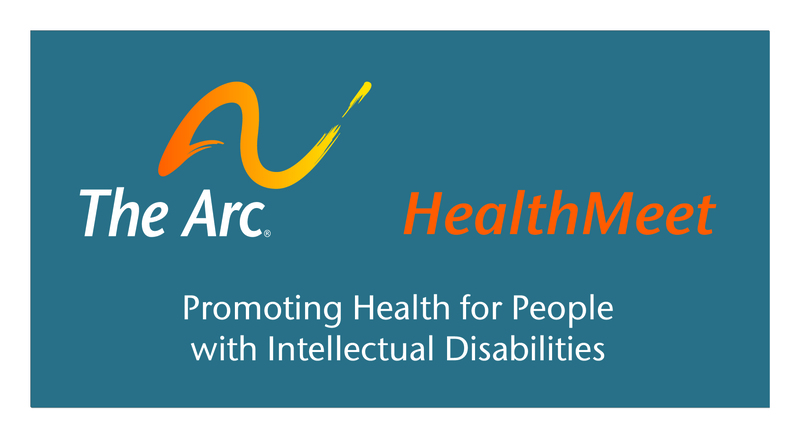 Check out The Arc’s HealthMeet page for more information relating to health and wellness.